In the thirteenth century, King John of England quarrelled with his barons. They rebelled against his dictatorial powers and took over control of London. This resulted in the drawing up of the Magna Carta charter which was agreed by King John at Runnymede, near Windsor, on 15 June, 1215. It promised peace between the unpopular King and the group of rebel barons, the protection of church rights, protection for the barons from illegal imprisonment, access to swift justice, and limitations on feudal payments to the Crown, all to be implemented through a council of 25 barons. Four hundred years later, in the 17th Century, Charles 1st of England quarrelled with the Parliament of England, which sought to curb his royal prerogative – an authority, privilege, and immunity which belonged to the monarch alone. Charles believed in the ‘divine right of kings’ and thought he could govern according to his own conscience, and did not consider himself answerable to the parliament of the day. The quarrel escalated and led to a civil war which resulted in Charles being captured, brought to trial before a court of 135 judges, although only 68 of that number actually turned up at the trial. He was found guilty of high treason and was beheaded on 30th January, 1649. The public paid a fee to be allowed to dip their handkerchiefs in the blood of the dead king, as it was believed to have powerful medicinal properties. 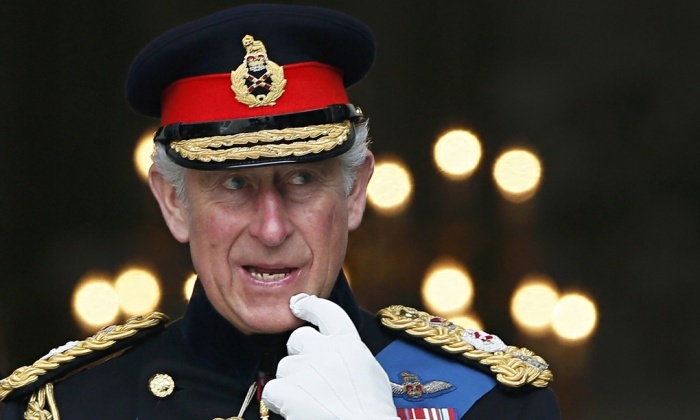 Yet another four hundred years down the line, England’s beloved Prince in waiting, who will one day be Charles 3rd, has been exercising the same royal prerogative, by writing his infamous, hand-written ‘Black Spider Letters’ to the government of the day, in a blatant attempt to influence public policy. Does history repeat itself in 400 year intervals? On the one hand we have a man, born into extreme privilege, whose only claim to fame is that he is Lizzie’s first born, proclaiming that he is perfectly entitled to rattle off political letters to ministers of state in a shameless effort to influence and even change government policies on specific issues. There is little doubt that many such ministers might well have felt obliged and/or brow-beaten into taking into account the views of the ‘king in waiting’. On the other hand, we have an elected, 21st century government who seems to have completely forgotten about its brave and legendary forebears. Our country’s democracy, and the division of power and duties between royalty and ‘we the people’ has been fought for so hard over the past nine centuries – ever since the Magna Carta was signed exactly 900 years ago. 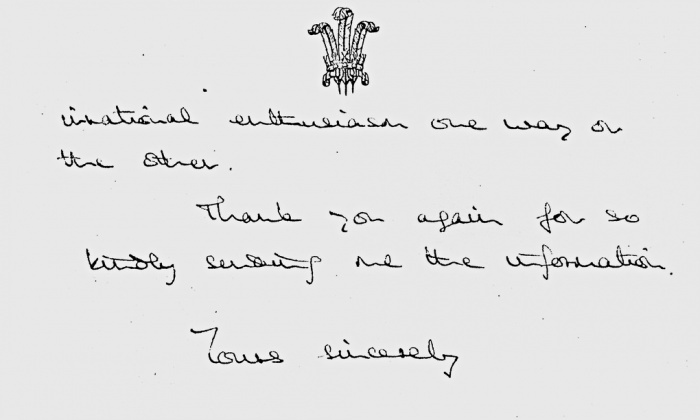 Did our gallant representatives of the people shout ‘foul’ when they received these letters from a man who hugs trees, talks to flowers and to his dead ancestors, and who has his servants squeeze toothpaste onto his toothbrush? The sad truth is that not only have the government supported Charlie in his unconstitutional efforts to pervert the laws of the land, but the government’s highest legal officer, together with the Prime Minister, have waged a legal war against those who wish to make these letters available to the public at large. 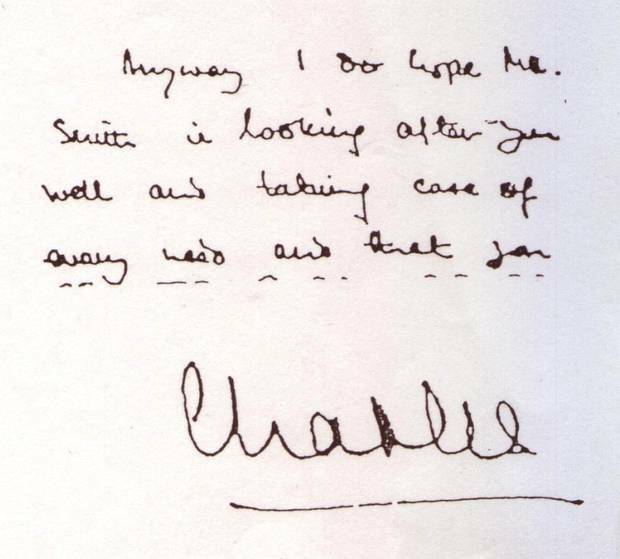 The present day battle between the royals and the law of the land started in 2005, when it became public knowledge that Charlie had written no less than 27 letters to various government departments in a two-year period between 2004 and 2005. The redoubtable London Guardian – to whom we have much to thank for exposing many of the inequities of modern day life – made an application under the Freedom of Information Act, 2000, to have these letters made public. The government refused to hand them over, and the case then was referred to a judicial tribunal which ruled in favour of the Guardian. The government still refused to comply with the tribunal’s decision and took the case to the Appeal court. Yet again the court ruled against the government, but the government still didn’t give up their fight to withhold the letters. In 2012, Dominic Grieve, the then attorney general, said that the correspondence contained the prince’s “most deeply held personal views and beliefs” and disclosure might undermine his “position of political neutrality”, which he might not easily be able to recover when king. He insisted that he, on behalf of the government, could overrule the decision of the appeals court. The guardian refused to give up and referred the matter to the highest court in the land, the UK Supreme Court. 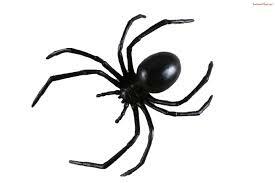 After a ten-year battle, the highest judges in our fair kingdom ruled that the government’s attempts to withhold Charlie’s infamous ‘Black Spider memos’ from public consumption, was indeed contrary to the laws of the land. The judges concluded that Grieve did not have the legal power to veto a freedom of information tribunal, which had decided the memos should be published. The government have accepted the ruling but have not ruled out the possibility of redaction (blacking out some of the details) before making the letters public. To make matters even worse, we are told that the Prime Minister and Charlie are extremely disappointed by the judgement. IN 1215, it was the king against his governing barons. In 1649, it was the king against his governing parliament. In 2015, it is the future King AND governing parliament against the ‘people’. Those privileged nobs in Westminster just don’t get it, do they? BTW – I just can’t wait to see what the letters actually say, can you? From a typical boorish American: I find British Royalty and their place in modern society a real “yawn” of a topic. However, you have somehow not only made it interesting, but I’m now actually excited to read the letters when published too! You’d think once one was executed they’d stop reusing the name? …you must have inspired me ’cause I just went to Wikipedia and found not nearly as many executions of Kings as I’d expected. Perhaps Mel Brooks had it right, “It’s good to be the King”? 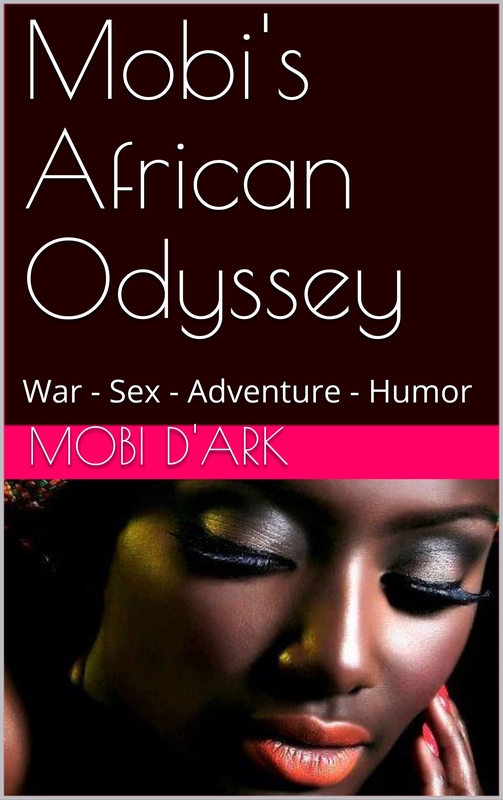 Thanks Mobi for another great post! PS: If it’s any consolation, modern American politics must be the absolute most boring topic ever. It amazes me how most of my fellow citizens don’t seem to understand that the issue isn’t Republicans or Democrats, but rather both sides of the same coin. Can you imagine holding a little dinner party where the guests were Harry Reid, Nancy Pelosi, John Boehner, Mitch McConnell and throw in a few mavericks like Donald Trump and Barney Frank…. A shouting match? A yawn? or a shootout at dawn? But would anything be solved?